In one experiment, the researchers subjected four species of methanogens to temperature swings between minus-80 and plus-22 degrees Celsius (112 degrees below zero to 71 degrees above Fahrenheit) for 24- and 48-hour cycles. Three of the four species survived the cold, with one species producing substantially more methane after being returned to its normal incubation temperature of 55 degrees Celsius (131 degrees Fahrenheit) than before the experiment. "The freeze-thaw cycling had little to no effect on the growth of this organism," Mickol said. "It didn't die. Some cells may have, but considering the amount of methane produced afterward, there were surviving methanogens out there." 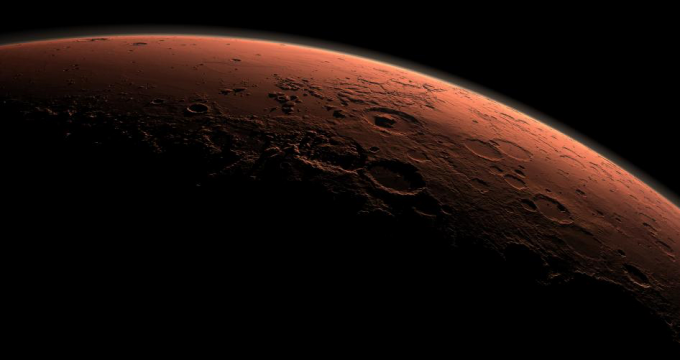 The results indicate that methanogens could survive on Mars as it exists today, or may have thrived there in the past when the planet was likely warmer and wetter, "making them ideal candidates for extinct or extant life on Mars," the researchers wrote. One of the three species in the study actively grew at 50 millibar, while the other two survived their exposure and actively grew again after the experiment. "These experiments suggest that low-pressure environments on Mars may not be lethal to certain species of methanogens and increase the possibility of a habitable subsurface environment on the planet," the paper states.